Sorry, I’ve already posted this pic on Instagram and Facebook. 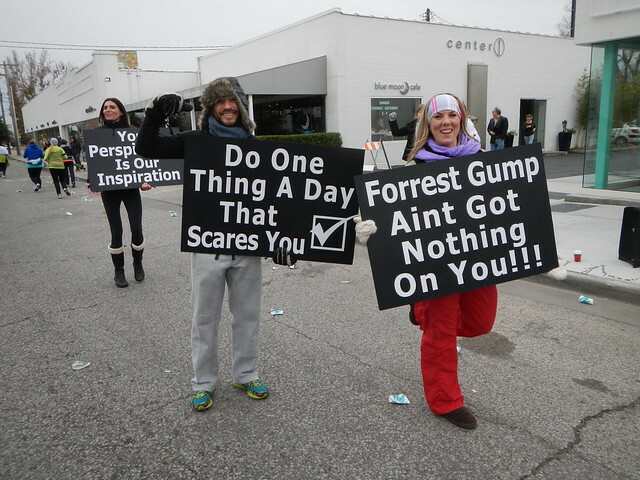 Here they are during a cold Route 66 Marathon a couple years ago. And the token Lululemon guy. And this is the first time I saw them, at the 2012 Route 66 Half marathon. I didn’t know who they were back then but I loved the signs. This is the only pic that I have ever had go halfway viral. I posted it on the race facebook site and it was seen by thousands of people. My favorite signs were “You’re the Sh*t” and “Go Random Stranger Go!! !” I’m sure that they got discussed. You know the old corporate “Do you really think that that is the image we should be sending out there about what we are about.” You fellow corporate drones will surely recognize that. 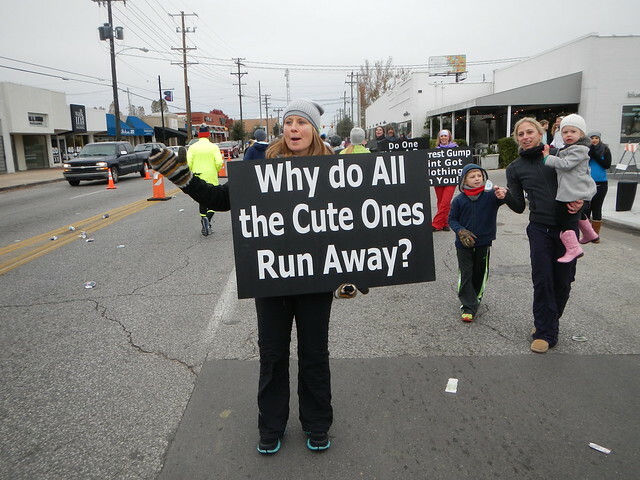 I kind of hope that the the Local Lululemon Ladies (and guy) pull them out of the closet for the next race. But if they don’t, that is okay. I can’t afford their clothes but I love their signs. I’m linking with Signs, Signs this week. 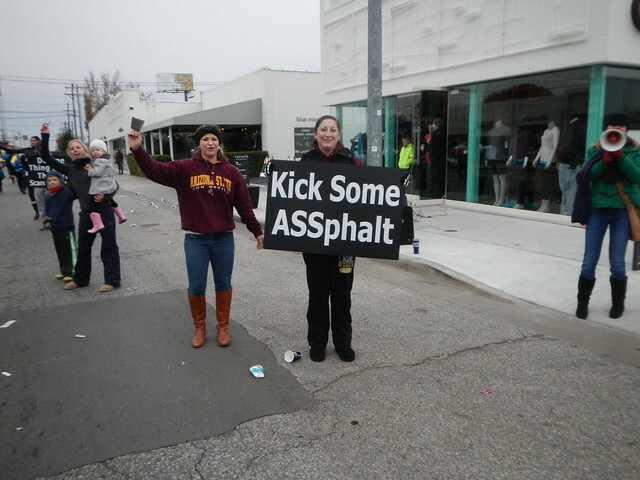 This entry was posted in Signs and tagged "Signs Signs", Cheering, Lululemon Athletica, Races, Signs on March 15, 2016 by Alan Bates.